Welcome to Maxson Consulting. We provide educational consultancy to schools and to individuals, and can provide training, coaching, mentoring to make a positive difference in your school. Have a look at About Us to find out more about our background, and some of our areas of specialism. Don’t worry if your area of need isn’t listed; through our network of consultants, we will be able to provide someone with the specialist knowledge that you need. Check back, regularly, to read our thoughts on the world of education, management, leadership, and the world in general. Some services are provided by our partner company, Consequi Limited. Consequi Limited is a private company limited by shares, company number 9709410. The registered office is at 2 Augustus Walk, Caistor, Lincolnshire, LN7 6GH. Although, up and down the land, teachers and pupils will be reluctantly returning to their classrooms a nd counting down the days until Half Term (if not Christmas or even the start of the Summer Holiday), this is, of course, the time to capture the enthusiasm and the genuine sense of the new start. Teachers and students alike will be returning refreshed, filled with new year resolutions. How should schools best harness this energy, this enthusiasm, these good intentions? We stand ready to help your teachers both now and throughout the academic year to ensure that your students achieve their full potential. A recent training session led by Maxson Consulting surrounded advice for teachers on the use of Social Networks. Of course, there are a number of avenues to this, positive and negative. There is the crucial importance of ensuring that children are safe and that teachers are protected but there is also huge potential for education to make use of social media and Web 2.0 for the benefit of children. 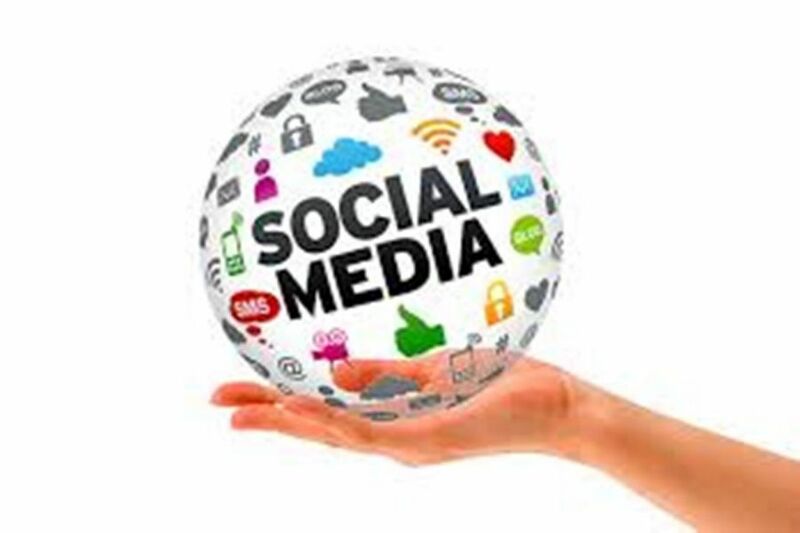 Why not ask us to explore, with your staff, both the safeguarding aspects of social media use (reinforcing your own policies) as well as the educational benefits that it can bring? Holiday homework with a difference? As we write, schools, teachers, and children across the United Kingdom are currently enjoying their long Summer Holiday. As ever, there are the annual calls for holidays to be staggered, the tales of schools who have cut their summer holiday short, as well as the fears over loss of learning and progress over the Summer. In amidst this, we came across this wonderful piece of holiday homework on the internet. What a brilliant idea: coming up both with ways that children can fill their time and stave off boredom, but also with ways which will benefit both children, their families, and society as a whole. 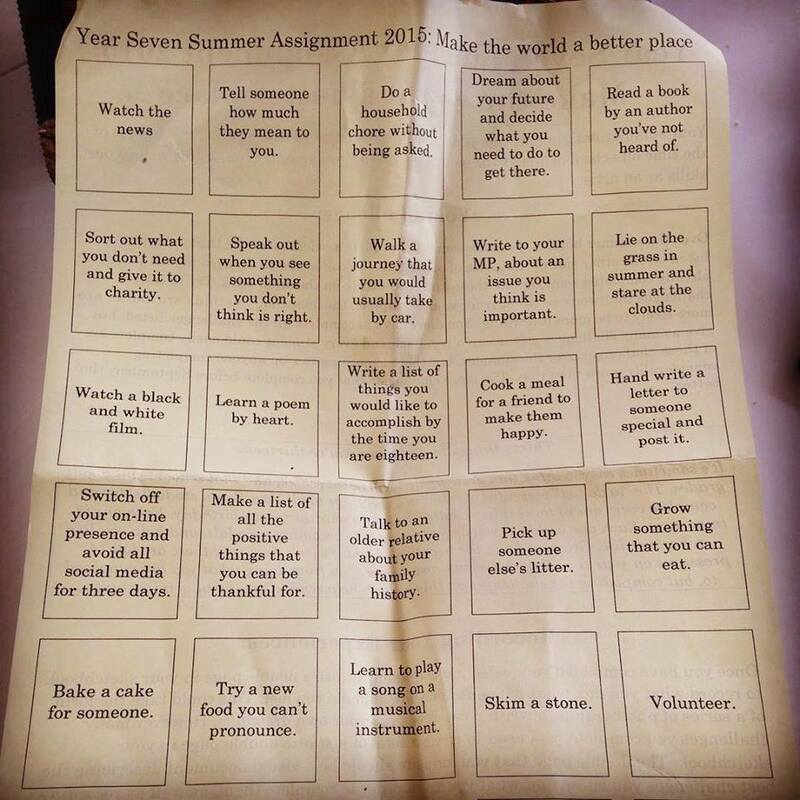 All schools could come up with something similar: wouldn’t that be a wonderful start to the summer holiday. On behalf of all at Maxson Consulting, we would like to wish you all a very happy Summer holiday and we look forward to being of service to you in the new school year. Whilst driving back from consulting work, I listened to a fascinating edition of BBC Radio 4’s The Bottom Line about leadership. In particular, the episode concerned the notion of “upside-down management”, where the individual component organisations are empowered to make their own decisions about the operation of their own aspect of the organisation. According to the programme, organisations which have embraced this notion have seen customer service, profitability, and other key aspects of their businesses thrive. This got me thinking about how this might apply to school leadership teams. It is not so long ago that “distributed leadership” was the buzz-phrase. I started to work at a school as a middle leader more than a decade ago, and every single member of staff was directly line-managed by a member of the Senior Leadership Team, meaning that every staff member was in direct contact with the day-to-day management and strategic leadership of the school. How do models of distributed leadership, still less “upside-down management”, apply to schools today? The same school to which I referred above is now part of a multi-academy trust. Even within the single school itself, with a considerably smaller staff team, far fewer staff are now directly line-managed by members of the Senior Leadership Team. The hierarchical nature of that school is compounded by additional layers of leadership that come through membership of the Multi-Academy Trust: executive head, chief executive, et al. Local Management of Schools, a key reform of schools in the 1980s, has now been replaced by the notion common to many Multi-Academy Trusts of models of school organisation common to all schools in the organisation. This is not a blog post that posits any answers although, of course, we can support schools in developing leadership and management techniques and capacity whether at an individual or trust level. Instead, this post is designed to generate discussion and considerations of the changing notions of leadership both in schools and in the wider world and whether “real world” models of leadership and management can ever apply to schools. OFSTED, the school inspectorate, has issued guidance on what they do not expect teachers and schools to prepare. The guidance refers to lesson planning, self-evaluation, lesson grading, lesson observations, marking, and evidence sourcing. This is, undoubtedly, a useful piece of clarification, although OFSTED has been quick to point out that there is nothing to stop individual schools from requiring some of the information on the list, in the interests of effective and rapid school improvement. The question, now, both for individual teachers and for school leaders, is how to use this guidance and how to ensure both effective day-to-day provision in the best interests of children and their futures, whilst also being able to present a positive picture to OFSTED during inspections. Maxson Consulting was ahead of the game by a number of years in looking beyond over-reliance upon lesson observation grades in forming opinions about the effectiveness of teaching and learning on an institutional and individual level. 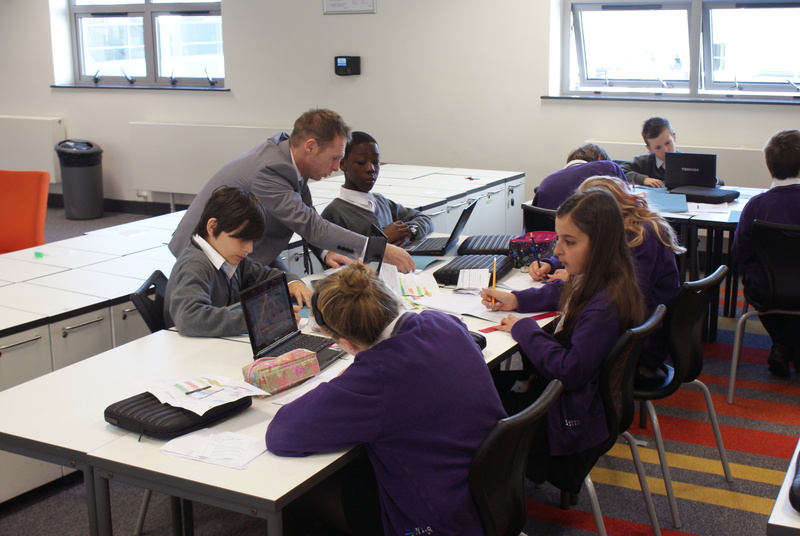 Equally, some of our most effective training programmes have included our “Tricks of the Trade” and sessions relating to smart working: making the maximum impact from effective teaching. We are uniquely positioned to help you, whether on an individual, departmental, or institutional level, to ensure that your students are receiving the best possible education, simultaneously ensuring effective inspection outcomes. To grade, or not to grade…. Stop? 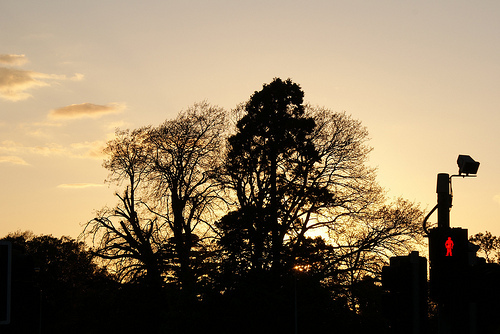 Has the sun set on lesson grading for teachers? Much has been written, over the last few weeks, about whether teachers should be given lesson grades after observations. After all, OFSTED has said that they no longer give grades to teachers, rather that they take a generic picture of the whole school. Also, Assessment for Learning advice going back to Key Stage 3 Strategy days suggest that a grade gets in the way of constructive feedback for students; why should the same not be true for teachers? In fact, it is much more complicated a picture than this. Context is everything, as outlined in this blog post. Lesson observations should really only be part of a much bigger picture of quality assurance and school improvement, anyway. Standalone lesson observations, without work scrutiny, progress monitoring over time, student voice, etc, etc, are almost meaningless. Also, as with so much of what OFSTED has “just started to say”, their position has always been broadly the same (just like they haven’t officially ever had a preferred method of teaching). It may now be clearer than has previously been the case, but nonetheless, there hasn’t been the dramatic shift of position that some have suggested. Where does this leave things? As so often with education, there is no correct answer! It’s about doing what is right for your school, your children, your teachers, and your context. We have done extensive work on designing robust, rounded Quality Assurance programmes for schools, and so are in a very good position to advise about what is right for you and your context. Complete the form, below, to ask for our help in ensuring a constant and relentless drive on improving the quality of Teaching and Learning for your children. Letters to the Editor in The Times, 19 November 2013. Maxson Music, and our partner company Maxson Music, are proud to be participating in the national debate about the future direction of music education. 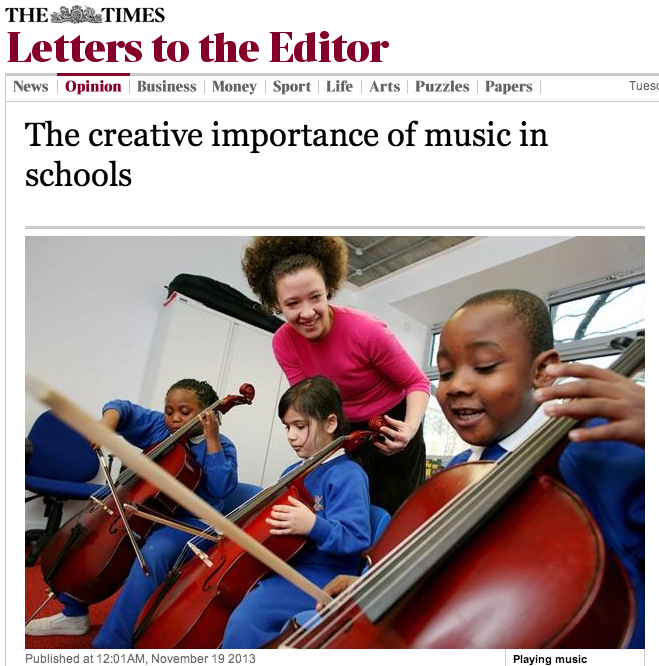 In today’s edition of The Times, a letter from one of our School Improvement Consultants, Steven Maxson, contributing to the national debate about the importance of music and the arts to education, and to delivery methods of music education. Following on from ongoing work with some of the Music Education Hubs, Steven’s contribution highlights the possibilities that the Music Hubs hold for developing young people should sufficient funding and imagination be available to Hubs. The letter can be read by clicking here (The Times operates a paywall, such that you will need to be a subscriber in order to be able to read the letter; the text of the letter may be found here). Music Education Hubs or schools wishing to benefit from our expertise should contact us using the form below.